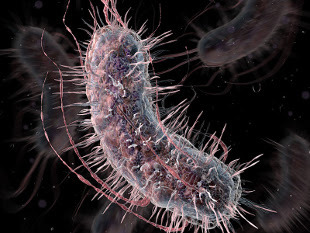 The genetic code normally contains 64 codons, but researchers from Harvard University and their colleagues have designed an Escherichia coli genome with only 57 codons, replacing the others wholesale. In a paper published today (August 18) in Science, the team describes the computer-generated genome and reports on the first phases of its synthesis in the lab. In the planned 57-codon E. coli genome, each of the seven deleted codons is exchanged for a synonymous one. Theranos – Scientific Breakthrough or Epic Hoax? A company on the brink of a scientific and medical breakthrough, or a hoax on an epic scale? 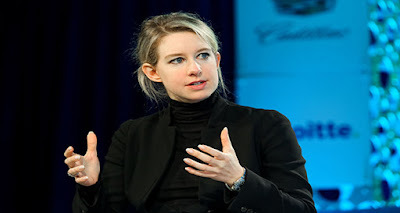 Russ Swan considers the story of Theranos. What follows is a tale of laboratory technology, a technological revolution, a precocious main protagonist, and billions of dollars. It is a riches-to-rags tale with elements of the Emperor’s new clothes, more than a bit of hubris, and a tragic twist involving a British scientist. The story of Theranos and its founder, Elizabeth Holmes, is still playing out. This is what we know so far, and it is truly jaw dropping. It begins with a first year chemical engineering student at Stanford, spending a summer placement in Singapore assisting in the development of a protein microarray for a diagnostics test for Sars. On returning to California, Holmes (for it was she) quickly dropped out of college to set up her own firm to work on similar technologies. Read more: Theranos – Scientific Breakthrough or Epic Hoax? Diagnosis of Pneumocystis jirovecii pneumonia (PCP) is conventionally based on direct staining and visualization. Challenges in obtaining alveolar samples have stimulated interest in techniques for detection of Pneumocystis DNA in non-invasive samples, which can give good sensitivity and specificity. 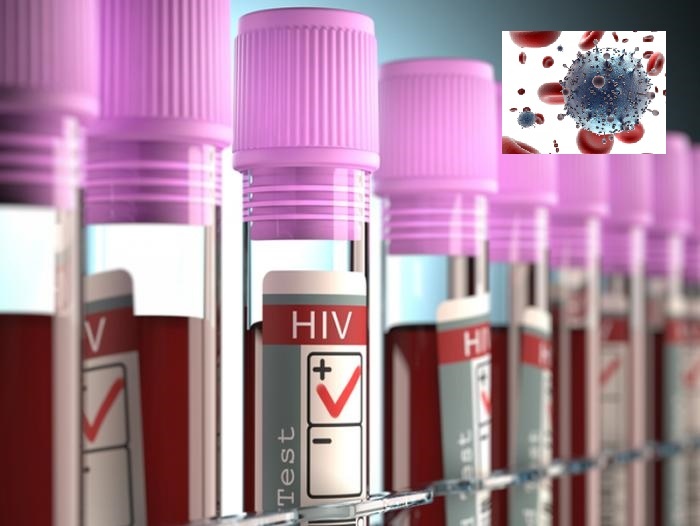 Robust diagnosis is key to ensuring appropriate therapy. 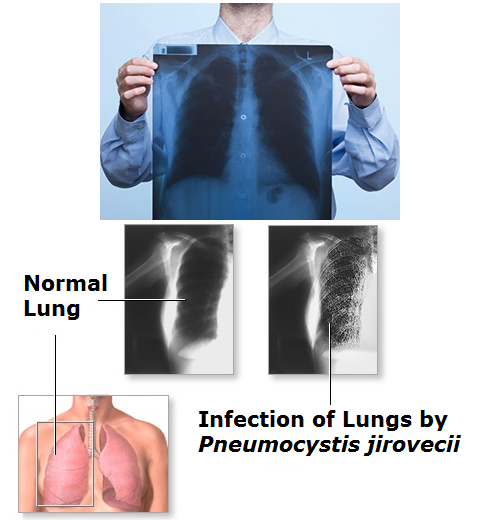 Pneumocystis jirovecii (previously Pneumocystis carinii) is a pathogen capable of causing life threatening Pneumocystis pneumonia (PCP) in the immunocompromised with case fatality rates among those hospitalized of around 10%. PCP typically occurs in individuals with hematological malignancies on chemotherapy or with other causes of acquired cellular immunodeficiency or, most frequently, in human immunodeficiency virus (HIV)-positive individuals with CD4 T-cell counts <200 cells/µL or <14% of total white cell count. First-line treatment is co-trimoxazole, a combination of the antibiotics sulfamethoxazole and trimethoprim, at high dose for 3 weeks, which has the clinically significant potential side effects of bone marrow suppression, rash and bronchial hypersensitivity. For patients with severe coronary artery disease, heart bypass surgery can reduce the risk of heart attack and improve overall quality of life. Now, researchers report the possibility of a new treatment that may be even more beneficial, without the surgery. Coronary artery disease (CAD) is the most common form of heart disease in the United States, responsible for more than 370,000 deaths in the country every year. The condition arises when plaque builds up in the coronary arteries, partially or fully blocking the flow of oxygen-rich blood to the heart muscle. 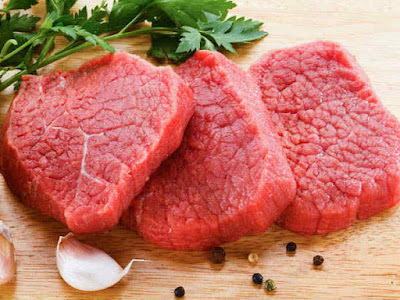 This blockage can cause heart attack, angina - severe chest pain - and, over time, heart failure. While lifestyle changes - such as adopting a healthy diet and regular physical activity - are considered key to improving CAD, some patients may require heart bypass surgery, which can help restore blood flow to the heart. But, as with all surgery, it has its risks. 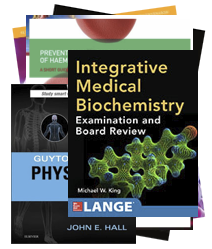 These include chest wound infection, bleeding, stroke, heart attack, and kidney or lung failure. 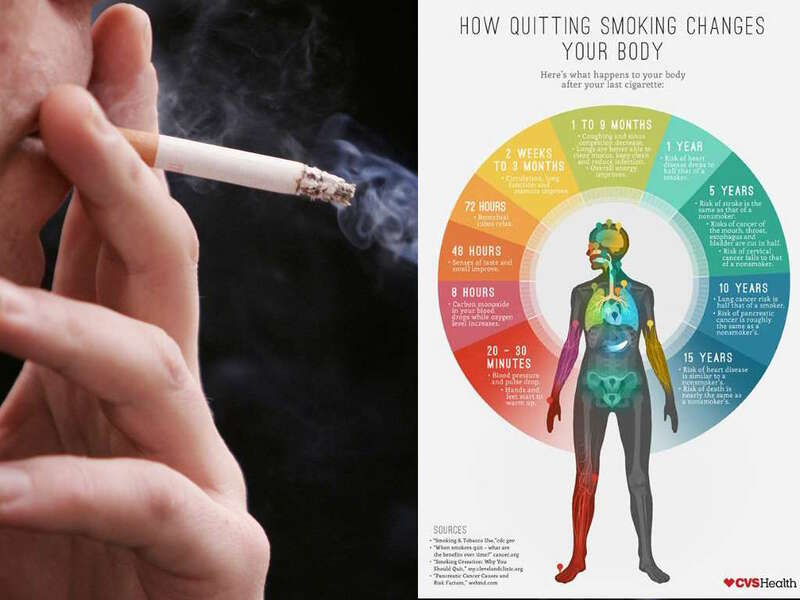 The process your body goes through after stopping smoking - in the 20 minutes to 15 years after your last cigarette - has been revealed by CVS health. The infographic from CVS Health (click to enlarge) revealed that 20-30 minutes after smoking cessation blood pressure and pulse have already started to drop, and the carbon monoxide in the blood will begin to drop after just eight hours.